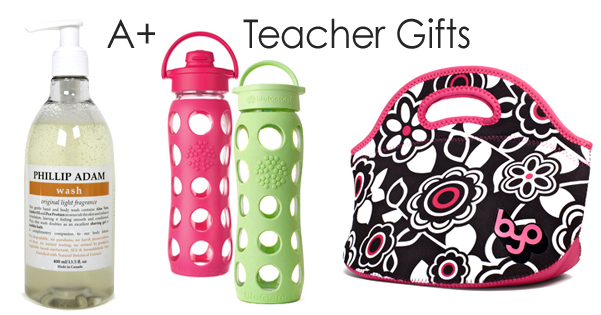 Wondering what gift to get that fabulous teacher to show your appreciation for a year's worth of hard work? The best teacher gift ideas are simple, practical and something you know they'll use. We've talked to a couple of teachers and have come up with five great gifts for teachers that are certain to earn you top marks. For more, click here. 4. Special Edition Envirosax Summer 3-Pack Pouch - ultra durable and designer cool, Envirosax bags are ideal for teachers to take to school packed with everything from books and marking to makeup and lunch. Oh, and they're great for shopping and the beach too! Limited quantity. Only while stocks last! $29.95 SAVE 40% THROUGH SUNDAY, JUNE 23 WITH CODE #SUMMER.